Greetings, boils and ghouls, and welcome to our Dark Imaginings! 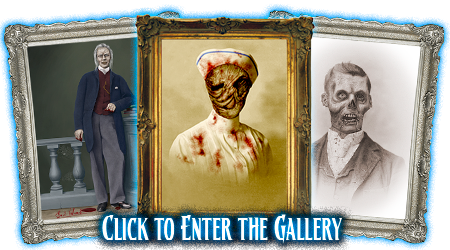 Please explore our haunted collection of ghoulish delights. Our skeleton crew is in the process of conjuring some new nightmares deep from the nether-realms. Have a look around. * Please note that Custom Changing Portraits ordered during this sale will NOT be completed by October 31, 2018. We are, however, taking orders for completion in time for December delivery. We have VERY limited availability and spots are going fast, so contact us today and reserve your spot now before Craig's schedule is full! Dark Imaginings is an award-winning graphic design studio born from the twisted mind of artist and graphic designer Craig Hines. Renowned for our creepy changing portraits, we can also conjure and create professional quality graphics, illustrations, logo design and branding, website design for desktop & mobile devices, concept art, marketing materials, animated visual effects, augmented reality apps, and more for your haunted attraction, home haunt, or crypt! 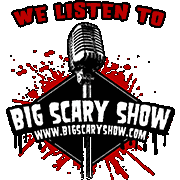 Since 2007, professional haunted houses and home haunters alike have trusted us to make their nightmares come true. Let us help you get a-head of your competition. 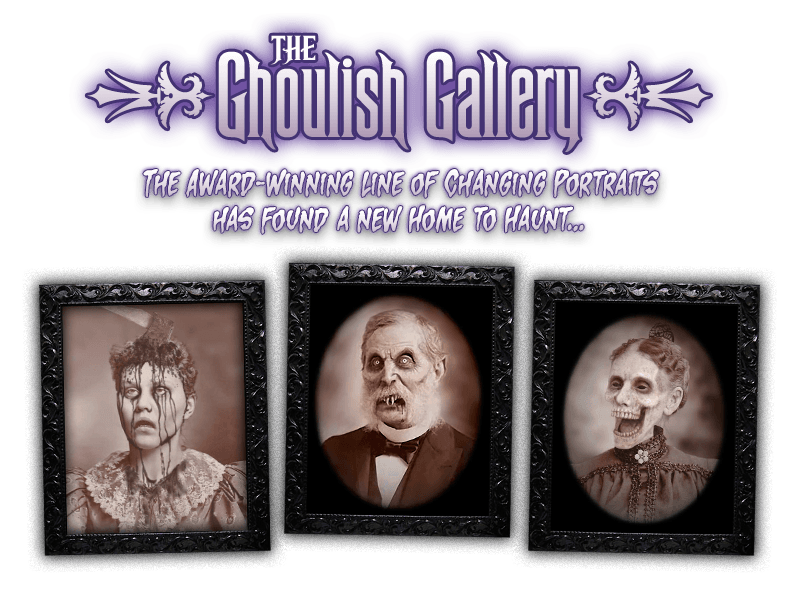 We now carry the entire line of Award-Winning Ghoulish Gallery Changing Portraits! This site is best viewed using a modern web browser (Firefox, Chrome, Opera, Safari, Edge). Copyright © 2007– Craig Hines and Numina Media Arts, LLC.